Menu ma tylko 14 pozycji. 0: 0 dB, no attenuator mounted, 1 W max. 1: -10 dB attenuator mounted, 10 W max. 2: -20 dB attenuator mounted, 100 W max. 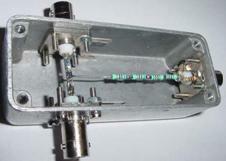 3: -30 dB attenuator mounted, 1 kW max. 4: -40 dB attenuator mounted, 10 kW max. 5: -50 dB attenuator mounted, 100 kW max. 6: DC Voltmeter, actual and min. and max. 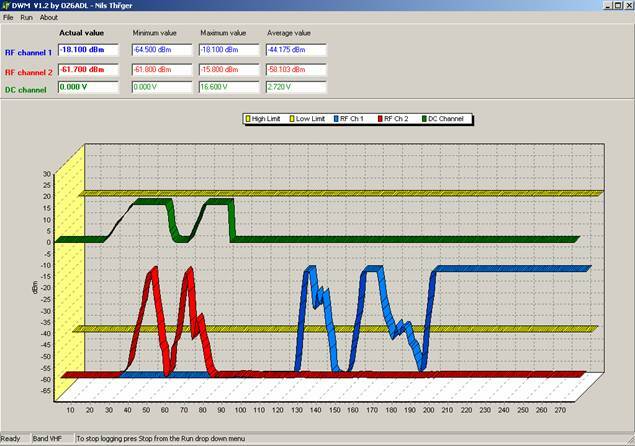 7: RF Power Meter, the default start up screen. 8: SSB PEP (peak envelope power) Wattmeter, with peak hold and variable decay. 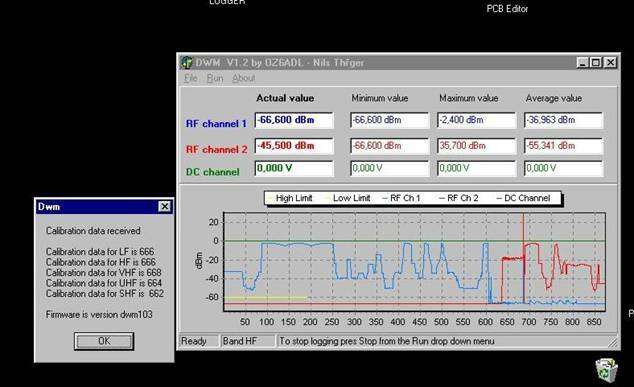 9: Return loss with SWR readout, usable with a SWR bridge. 10: Calibrate 0 dBm in the selected band. 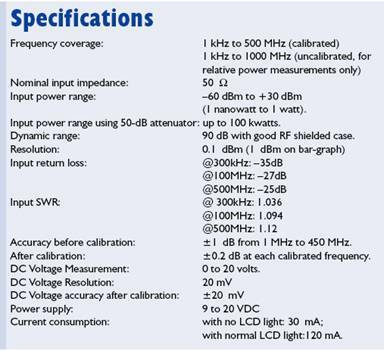 11: Read all calibration values. 12: Zero all calibration memories. 13: Display update delay 2-80 ms, peak hold and decay speed. 14: About Info, shows software version and so on.